Beautiful 1900s-era home with a full 21st-century twist, and panache that will make you feel to the manor born. The mood is regal but not stuffy. It´s impeccable but not restrictive. And best of all it´s gracious but not antiquated. Venturing into restoring old mansions and converting them into ravishing boutique hotels is not for the faint of heart. Luckily for us the owners happen to love a challenge. Steeped in the hospitality business since birth, they set out to bring luxury back to this 1900s-era home not only with a full 21st-century twist, but also with a panache that will make you feel to the manor born. The mood is regal but not stuffy. It´s impeccable but not restrictive. And best of all it´s gracious but not antiquated. Can you put your feet up? Most certainly, though the setting will make you want to ensure your toes are freshly pedicured (get it at Terracotta, the hotel´s exquisitely appointed spa that is noted for its exquisite massages). The town of Sayula boasts an absolutely charming historical center. Take a walk around during the late afternoon, when the sun creates a beautiful play of light and shadow on the ten different portales, or arched walkways, that frame this quaint city. Sayula also is known for its cajeta, a thick, sweet delicious caramel made from goat´s milk, its perfumed raspberries and, believe it or not, its artisanal knives, which are beloved by chefs around the world. 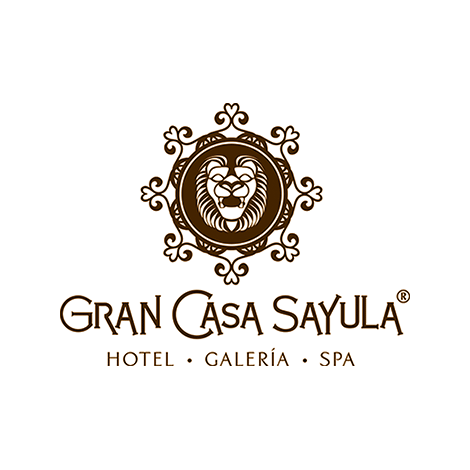 Gran Casa Sayula is only an hour away from Guadalajara and everything that big city has to offer. Think about enjoying a “Big City – Small Town” vacation by combining this little gem with another tiny treasure of a restored mansion,f Villa Ganz, located in downtown Guadalajara. The prose by noted local author Juan Rulfo that laces the cushions and the blue runners on the pristine beds. 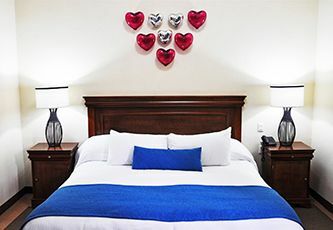 We love the amenities in every bathroom and the claw-foot tub in the honeymoon suite. We love the gallery that lies right inside the vestibule, where they highlight pieces by local and national artists—a recent exhibit was, in fact, curated by the director of Guadalajara´s Regional Museum. And, we love the furniture handcrafted from the homes old doors and shutters. We´d like to save this for the Food & Wine section, but we just couldn´t contain ourselves. What´s truly fabulous here is the new chef, Hadad Partida—a former Ferran Adrià apprentice that obtained rave reviews from the Master himself. Partida brings this world class experience back to his country and creates exciting cuisine that both celebrates his origins and highlights his international expertise. Couples seeking a quiet, romantic hideaway, writers looking for an inspiring setting for their words; girlfriends in search of a chic spa getaway; and foodies who know their ingredients (see Food & Wine). 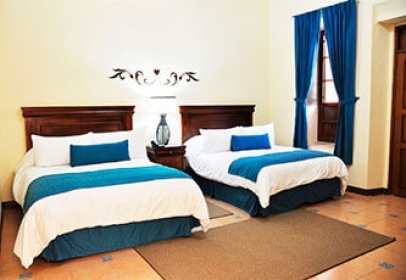 All rooms are carefully decorated and restared, to presserve the essence of the house and ensures complete rest. Amenities, bathrobes and egyptian cotton sheets of 250 threads. Note: Rates are quoted in Mexican pesos and are subject to change without notice. Please note that hotels will charge in Mexican pesos at current exchange rate when payment is processed. We invite you to contact us if you need rates for the following year and do not see them on our site. 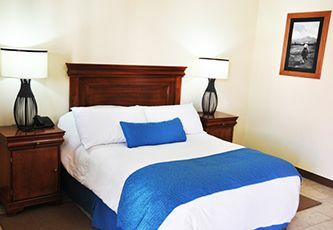 With king bed, full bathroom, writing desk. With two queen beds, full bathroom, writing desk. 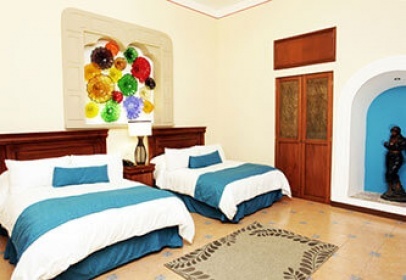 Comfortable suite with king bed, full bathroom and writing desk. 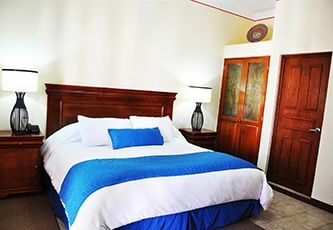 Comfortable suite with two queen beds, full bathroom and writing desk. 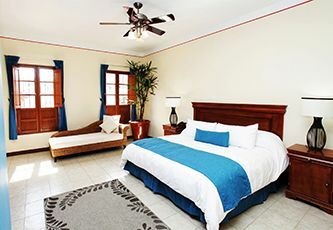 Cancellations received less than 2 days prior to arrival date will be charged one night, plus tax. No shows will be charged for one night, plus tax. Early departures will be charged for the complete stay. Small pets (under 50 lbs) permitted on request. 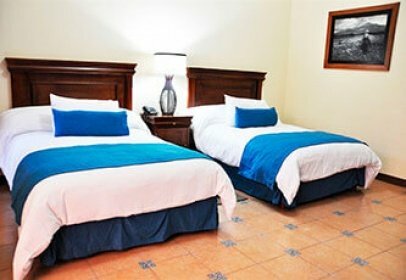 The hotel can prearrange transportation from the Guadalajara airport via taxi with prior notice. Rate is $170 USD for up to 4 passengers (One-way) or $340 USD round-trip. Travel time is approximately one hour and 45 minutes. 10% discount in Terracota SPA. "Terracotta" SPA is a place where experienced craftsmen will transform you with their hands, relieving the spirit and giving a new perspective to your life. Each of our services was carefully designed with a different objective. Harmony between aromas, texture and body. The massage with hot sachets is an Ayurvedic massage; Its main benefit is the relaxation of body and mind. The use of sachets of natural elements such as rice, aromatic herbs, medicinal plants and essences will bring to our body hydration, detoxification and the benefit of the aromas and the absorption of the medicinal plants used. Our body will be revitalized. Mind, body and spirit: The wholeness of the human being. The holistic massage relaxes the body and the mind through soft and light frictions, its purpose is to eliminate stress, tension and unblock emotions that make it impossible for us to lead a healthy life. A dream trip and transformation. This massage is designed to get rid tension, reaffirm muscles and joints. Its invigorating and relaxing effect promotes blood and lymphatic circulation, and elimination of toxins. It helps the body to rediscover its natural balance. Internal competition of each human being. This massage consists of a series of maneuvers that are carried out as a method of preparation for the tissues, both for post-competition rest, as well as between each sport activity, activating circulation, eliminating toxins and increasing muscle oxygenation. Highly recommended for people who have an active lifestyle. Balances the body's energy level. This therapy has a solid experimental base, developed for millennia in Egypt, China and India, which is based on stimulating the body's mechanism of self-healing. The objective is to obtain a healthy response of the organs, systems or structures through the appropriate stimulation applied to their corresponding micro reflexes, thus achieving to establish the natural balance of the energy and harmonic functionality of the whole organism. It restores your energy. Deep tissue massage is a type of massage that focuses on the realignment of the deeper layers of muscles and connective tissue. It is especially useful for chronically tense and contracted areas such as stiff neck, low back strain and shoulder pain. Alignment of the body with gravity. The result is a body regeneration that promotes a more ergonomic and harmonious posture. The pressure and particular technique is changing throughout the massage, and according to the particular level of stress of each person. In this massage the hands, arms and occasionally the elbows are used. The rolfing method allows recovering the lost balance and aligning ourselves again with the force of gravity, integrating the different corporal structures. Complete healing and connection to the body. This type of sensitive massage is characterized by the application of long, fluid and integrating movements that serve as the basis for a wide range of deep contact techniques. This massage is transformed into art and incorporates elements of other techniques such as gentle stretching, passive movements of joints, work on deep muscle tissue, a delicate cranial balance and rhythmic movements, thus making each massage unique. A massage for children, which through touch and elongation in the body with gentle pressure and downward movements helps the child to relax and benefit psychologically and physically throughout his or her organism, favoring its development. This massage manages to fill them with calm, promotes the resistance of their organism, makes them have a peaceful sleep and a positive psychic development. Sensation of well-being with affection and love. Nothing better than a massage to relax your baby. This massage allows the stimulation of the baby that already involves all the senses, provoking a sensation of well-being and pleasure. Not only do they feel the touch of their hands on their skin, but they experience sensations through hearing, smell and vision through soft frictions that are given lovingly in the head, face, chest, abdomen, legs, arms, hands and back, through the warmth of the therapist's hands, it relaxes them and allows them to better develop all his senses. Note: from 3 months to 3 years. Corporal and spiritual harmony for the future mother. 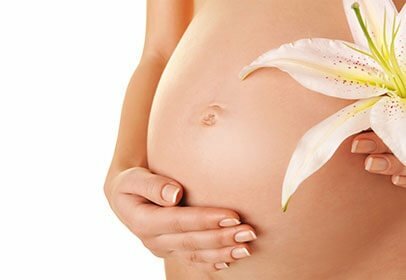 The objective of this massage is to achieve corporal and spiritual harmony, applying techniques that will bring well-being and physical rest to the baby and the mother-to-be. Combination of temperatures and traditions. Geothermal therapy combines traditional therapeutic massage with the use of stones at different temperatures on the skin, to facilitate the flow of vital energy and thus alleviate physical and emotional disorders. An experience that offers a moment of relaxation for the mind and does wonders in the release of muscle tension. Note: due to the use of hot oils avoid getting wet, bathing and ingesting cold drinks. Optimal energy harmony. This author massage combines different techniques to achieve a state of deep relaxation and is done differently according to the personality and specific needs of each person. Author massage that gives name to our Spa. Two of our craftsmen will totally renew you with this 4-hand massage. 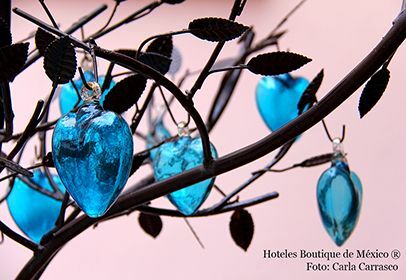 This exclusive artisan therapy stimulates our body and our mind in a symmetrical and harmonic way. Combining different disciplines, this massage is a sensory journey where smells, tastes, sounds and touch combine in a sublime experience of life. Can you afford this luxury? Hydrotherapy with cervical dirigible hydro jets and blower that generates micro bubbles that emerge from the floor of the tub. Chromotherapy in water uses the three primary colors of blue, green and red, and creates color combinations that have different temperatures, vibrations and wave rates that stimulate, allow inner balance and stabilize our emotions. Humid heat which helps eliminate toxins and clean breathing airways. Finnish dry heat sauna that helps detoxify the body and improve circulation. Deep facial cleansing will help us restore of our face's skin to the lost luminosity and vitality, as well as improving texture and uniformity; it is also decongestant, balancing and oxygenating. After a facial cleansing you will simply look radiant. Our facial moisturizing treatment helps to restore water levels in the skin, has a regenerative effect, provides luminosity to the skin, reduces lines of expression and provides a lasting protection against external aggressions, with antioxidant vitamins that slow down the process of aging. It is a corporal cosmetic treatment in which through the application of products to cleanse, exfoliate, nourish and soften, we will achieve skin regenerations; therefore you will have a total change in texture and the skin will look more toned and soft. The restaurant—appropriately named La Frambuesa after the sweet-smelling raspberries that blanket the area around Sayula—offers Chef Hadad Partida's haute Mexican cuisine with an international flair, prepared with organic vegetables and herbs. Breakfast, lunch and dinner each serve up a menu that´s a culinary adventure of the best sort. El Coyote Bar, decorated with dream-catchers and desert-dweller motifs, indulges guests with relaxing vibes thanks to the music and its special macrobiotic cocktails and scrumptious hors d´oeuvres.